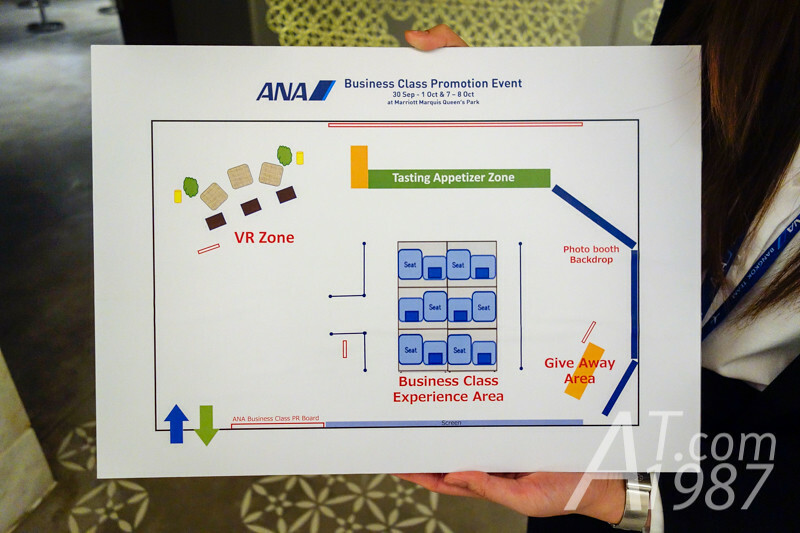 The event is divided into 4 parts: VR Zone, Business Class Experience Area, Tasting Appetizer Zone and Give Away Area. Visitors can go the each parts freely. 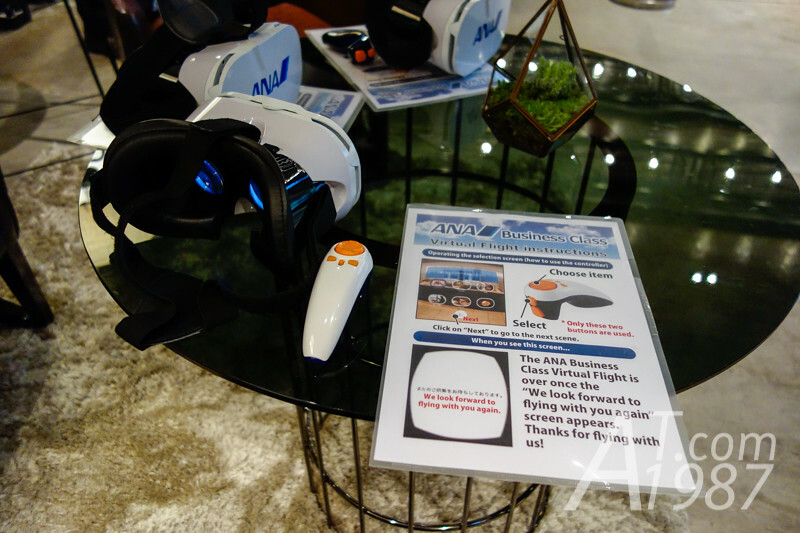 I began with VR Zone where I had an experience of ANA Business Class from ANA Lounge in Narita, on board and get off the plane via VR goggle. 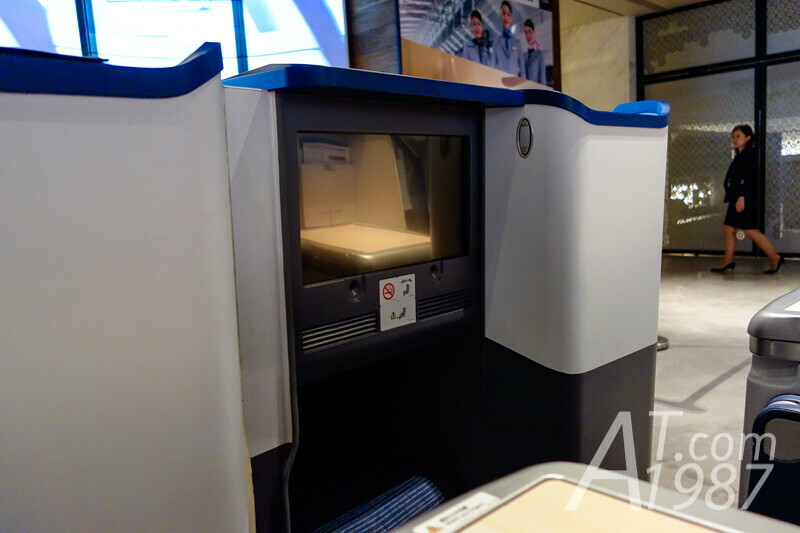 Next is Business Class Experience Area where I tried out its Staggered Seat. 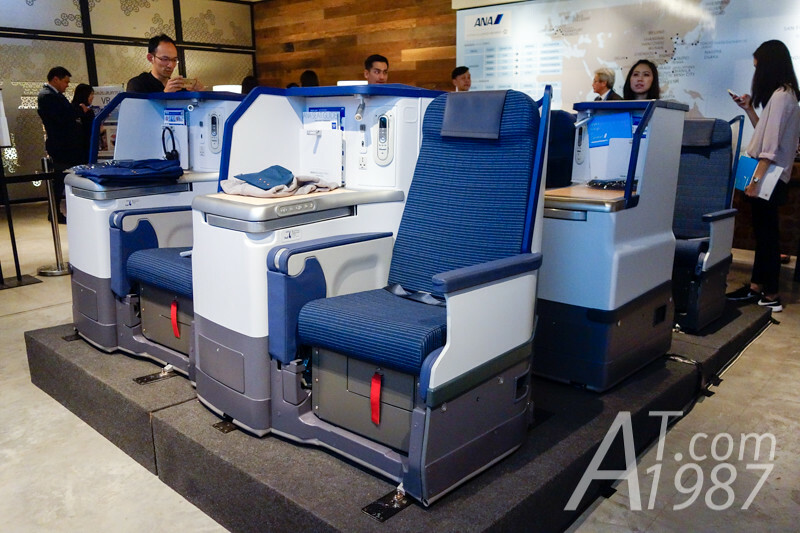 Its features is laying flat completely and all seats is near aisle for privacy. 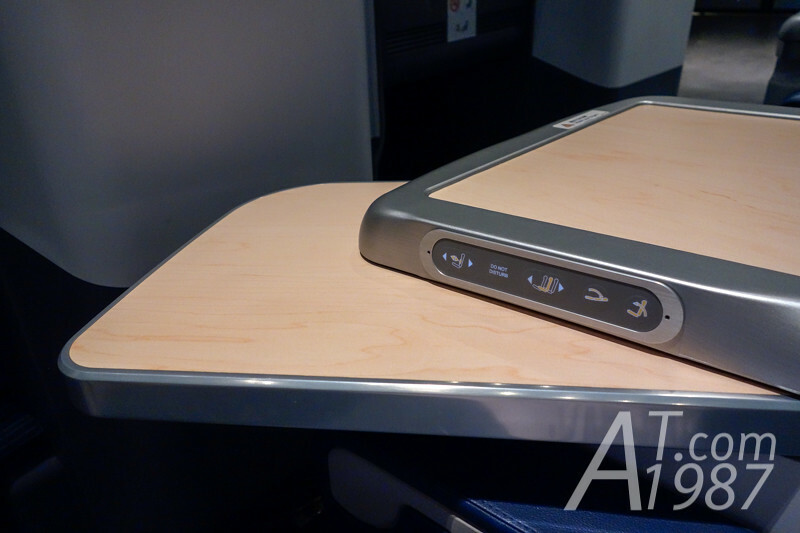 Each seats have their own side tables so passengers don’t have to share it together. 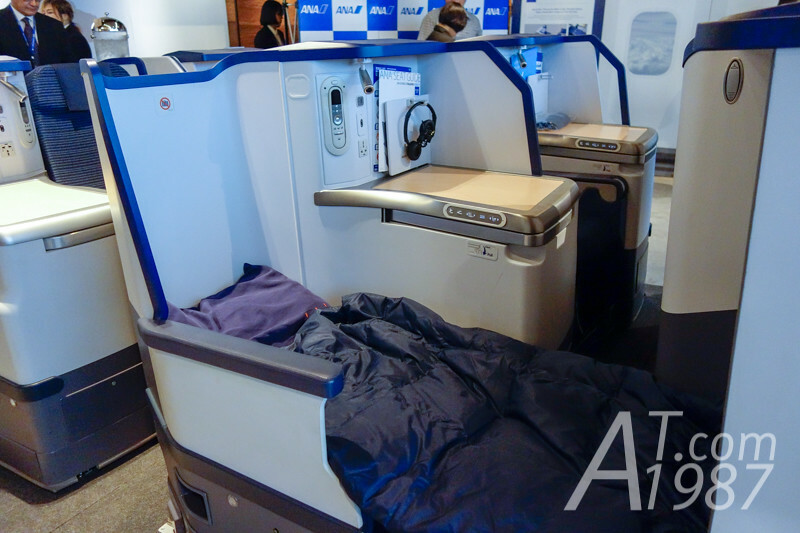 Above photo also shows the amenities for Business Class like slippers, pajamas and knit wear. 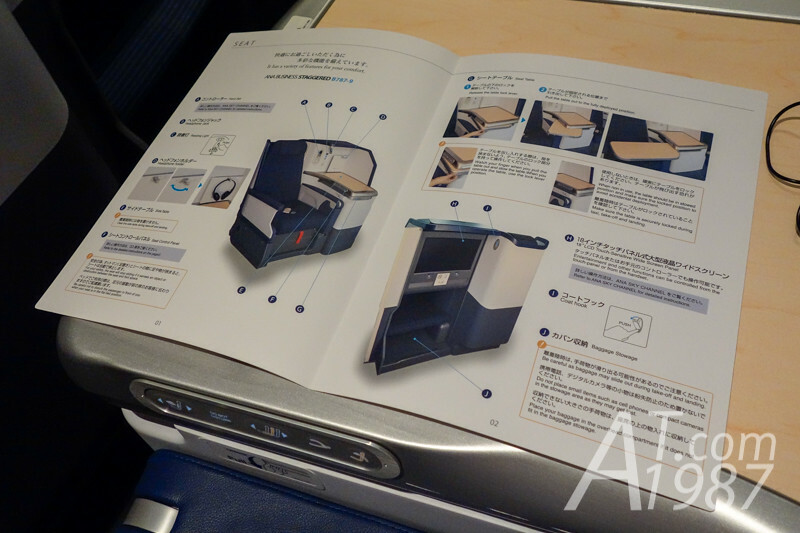 Below the touch screen are ottoman and baggage stowage. The feeling I sat on the seat for the first time is it’s bigger than the economy seat I used to sit. But I felt nothing special from it. I was also confused how I could do adjustments so I had to read the leaflet on the side deck and asked a cabin attendant for help. The adjustments in fact are very easy to do. All of them are electrical control. 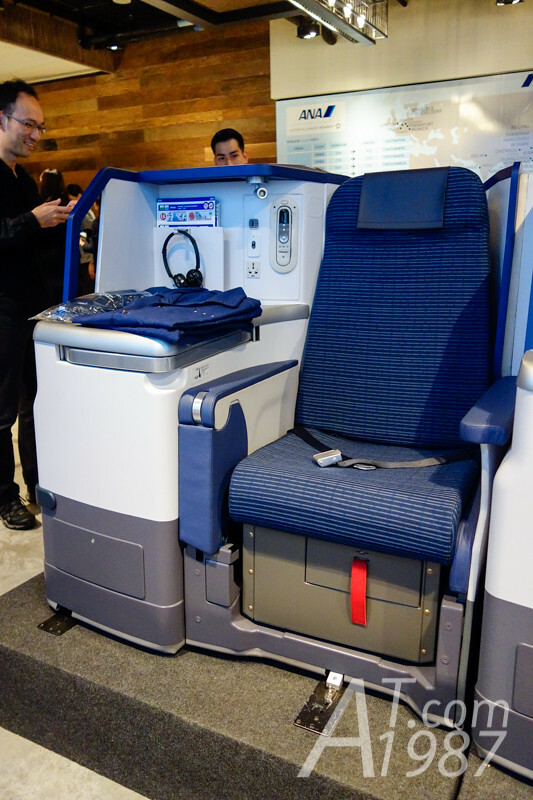 The seat can move forward – backward, turn on “Do Not Disturb” light, adjust lumbar support, recline and straight up the seat back. The buttons need to be press a little hard to operate. I couldn’t do this on the first time because I was afraid to break the panel so I pressed them lightly. The seat is more comfortable when I adjust a lumbar support. Before this I usually put the pillow I got to support my lumbar. It doesn’t help much since it is too thin. The back seat can recline more too. I also tried lying the flat bed position without the mattress. I felt strange when doing this. I think maybe there are no mattress on it. If I am on the plane, sleeping in this position is better than siting position. I played with the staggered seat for a while. 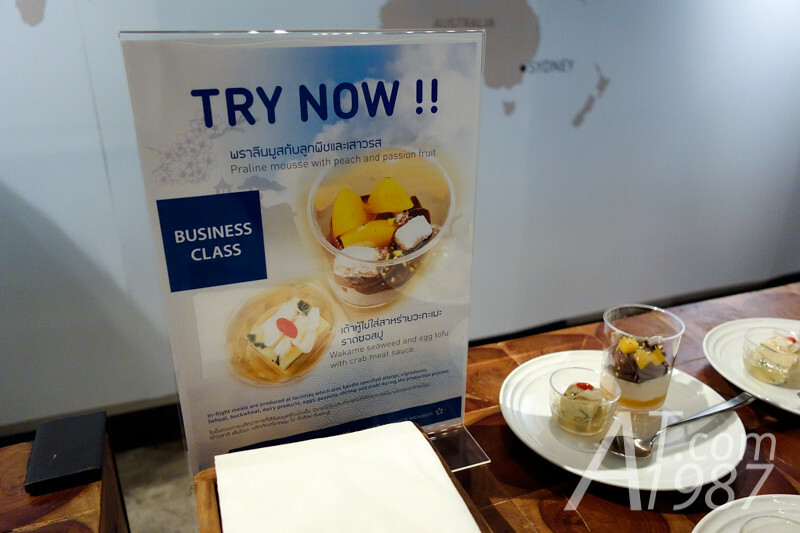 I exchanged my meal ticket for the Business Class meals sample at Tasting Appetizer Zone. 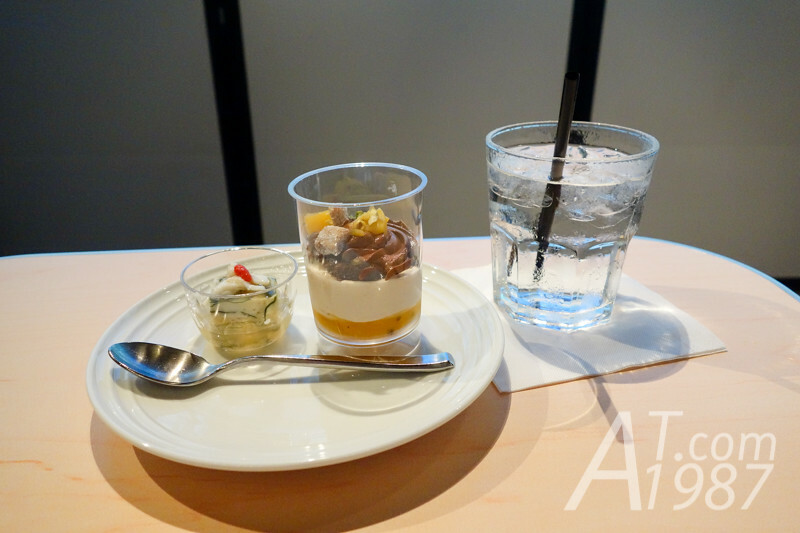 The menu on the date I visited were Wakame Seaweed and Egg Tofu with Crab Meat Sauce and Praline Mousse with Peach and Passion Fruit. Visitors could eat their meals on staggered seats. 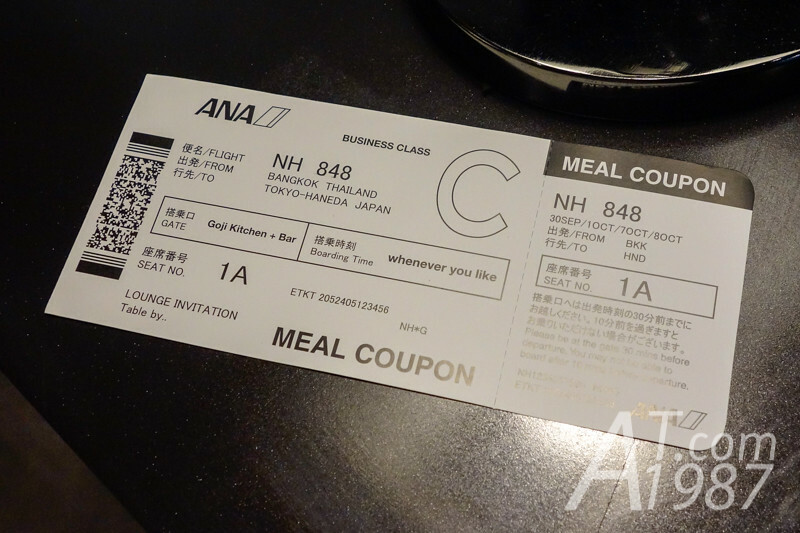 The taste of meal is as good as ANA meals I used to have. But what make Business Class meals different from Economy are the ingredient and presentation. The last part is photo booth where visitors could take their photos with the back drop behind. 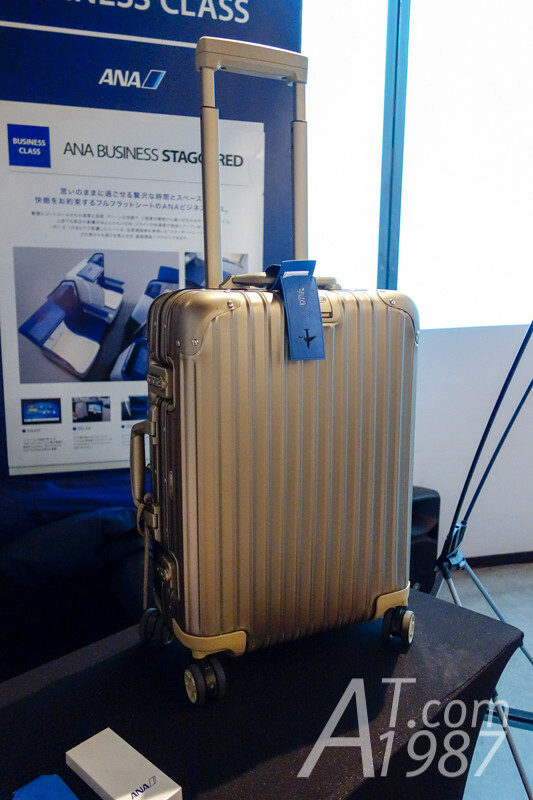 If they upload their photos with hashtag to social networks, ANA will give an exclusive leather bag tags to them. Other than trying a seat and meal. 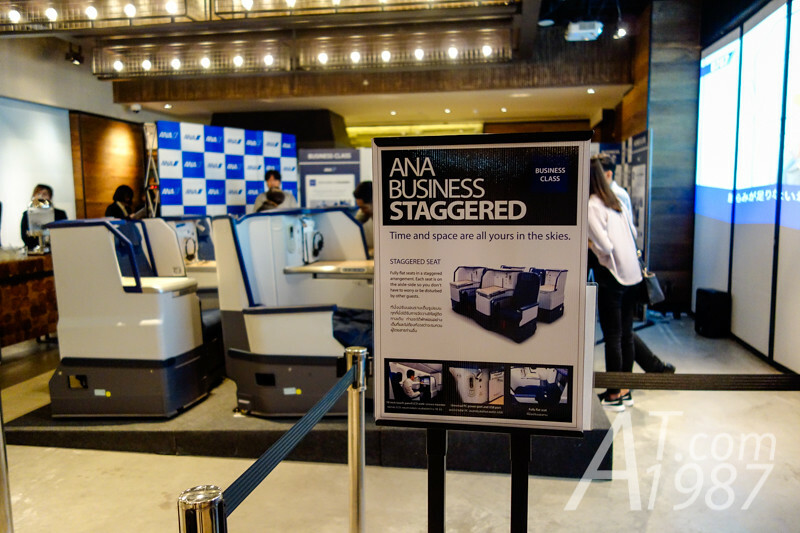 I also had a chance to talk with cabin attendants who gave me some tips about traveling with ANA. I think it is a good opportunity which we cannot find at the age we can buy air tickets online without seeing real staffs.